The Mellon Foundation funded WhatEvery1Says project (WE1S) held the first in its series of workshops on January 26, 2018, at UC Santa Barbara. The three-hour workshop on “Markdown & Github: First Steps Toward learning Modern Digital Practices for Sustainable and Shareable Research” was led by WE1S co-PI Scott Kleinman. Preparatory steps for participating, slides and resources, and a full video recording (showing all slides and exercises with narration) are available online. WE1S designed the workshop (original publicity announcement) to train its research assistants at UCSB, CSUN (California State University, Northridge), and University of Miami in its basic publication workflow of (1) creating documents in Markdown, (2) depositing in GitHub, (3) and then flowing materials into other formats, including posts in HTML on the project WordPress site. More generally, the workshop emphasized the underlying rationale for such a workflow in the context of open and reproducible research. The question the workshop sought to answer was: How can research results be designed from the get-go to be flowed easily between platforms and formats, now and in the future? 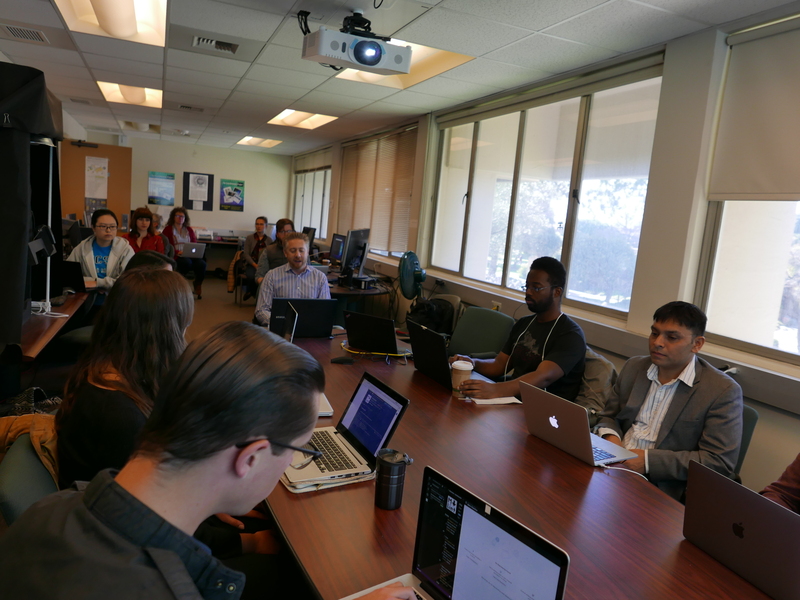 A surprising variety of UCSB faculty and graduate students from outside the WE1S project—including from the fields of history, writing studies, and statistics—attended the workshop. In posting workshop materials and recordings online, WE1S invites even broader research and student communities to learn from its training activities.